History, originally uploaded by alister. This monument is to a communist group who blew up an anti-USSR exhibition put on by the nazi's. In the DDR era the memorial was also in 'friendship with the people of the USSR'. 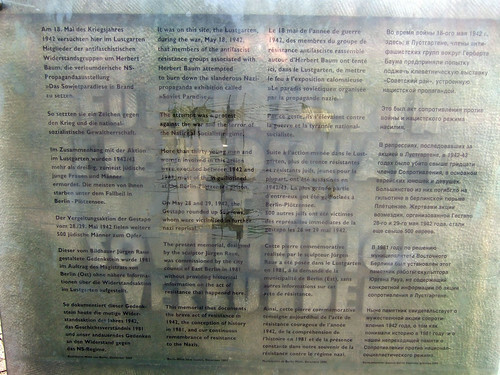 This part has now been covered by an explanation of the memorial and kind of turning it into another memorial of the state of Berlin in 1981. The Germans seem to have a snappy word for this. A very long word.